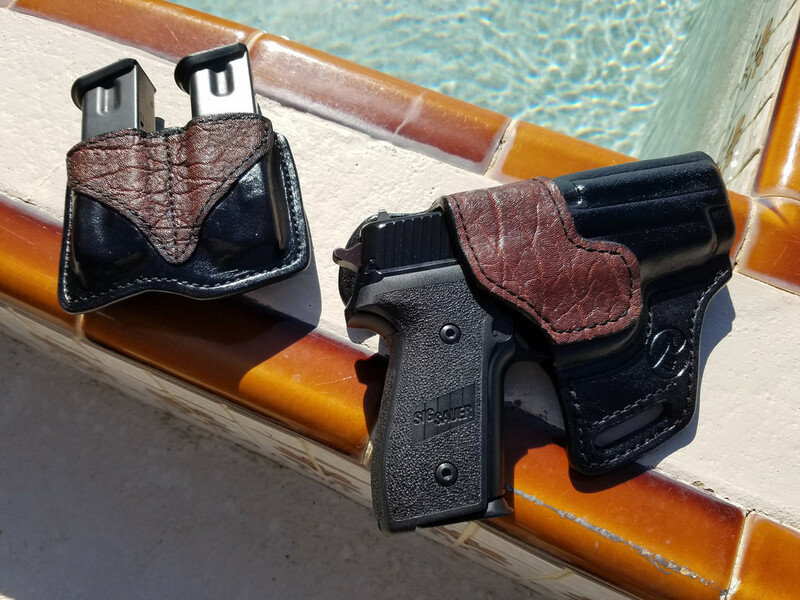 Whether for your BBQ gun, court attire, or just because you like to feel fancy when you're carrying concealed, exotic leather has a certain appeal. 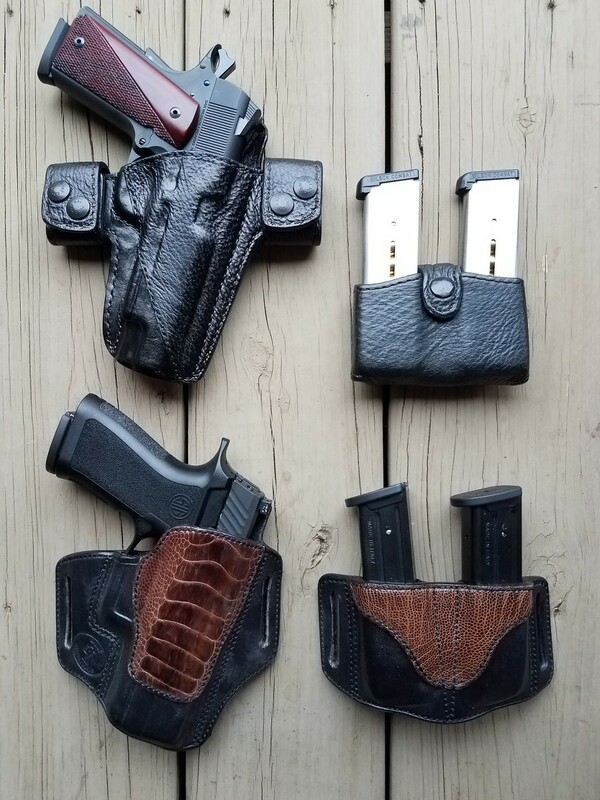 Little Bear Holsters "SW Special" with shark trim for a 1911, and Gaunt Leatherworks pancake with ostrich leg trim for a P320. This one isn't technically "exotic" but it is a step above plain leather. 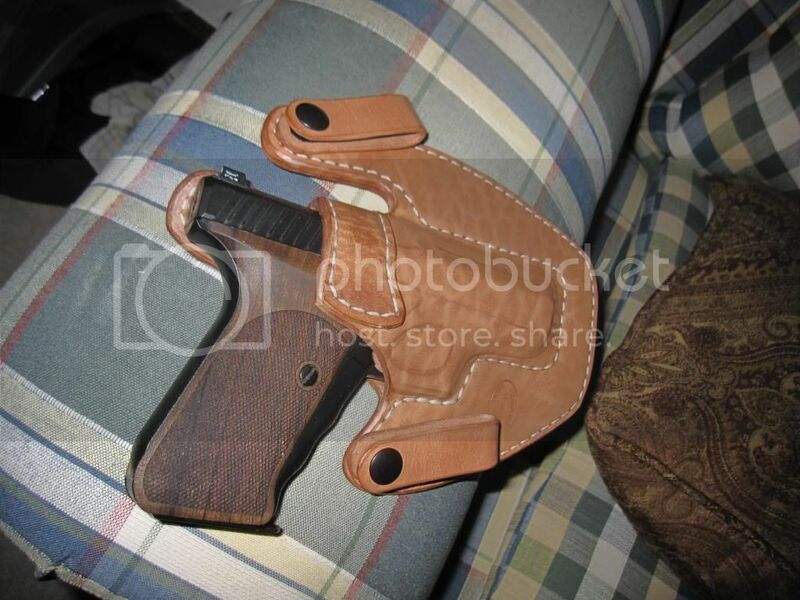 This is the holster I use most days at work now. Ryan Grizzle Georgia Snap with elephant trim for my P224. "All the citizens of this land are of right freemen; they owe no allegiance to any class and should recognize no task-masters. Under the chart of their liberties, under the law of high heaven, they are free and without shackles on their limbs nor mortgages upon the fruits of their brain or muscles; they bow down before no prince, potentate, or sovereign, nor kiss the royal robes of any crowned head; they render homage only to their God and should pay tribute only to their Government. Such at least is the spirit of our institutions, the character of our written national compact." 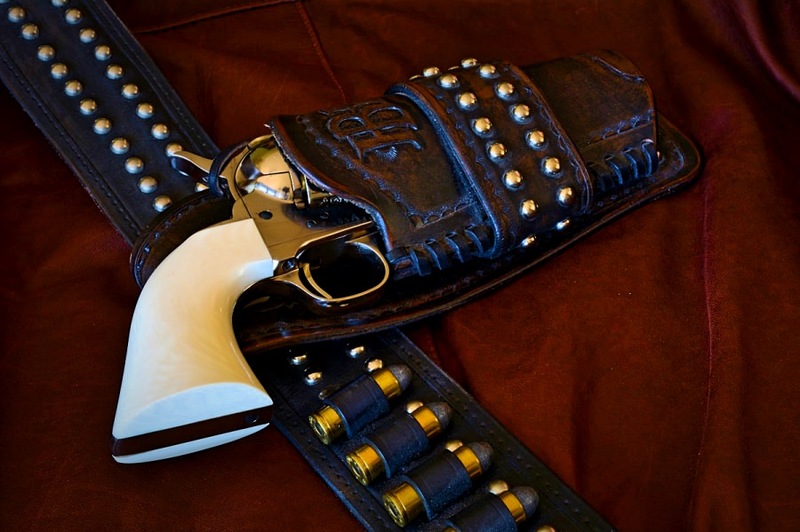 Uberti Cattleman "Cody" SAA .45 LC in a holster/belt combo I made 25+ years ago for use in SASS competition. 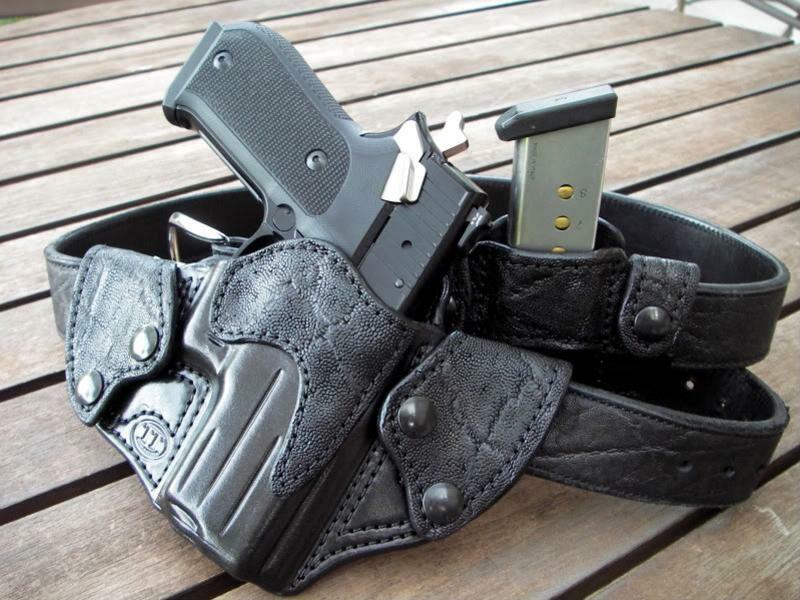 1st and last holster/belt I have made! P239 in a Ryan Grizzle "Georgia Snap", if I remember right that's Elephant trim. ^^^^^ I think, perhaps, smooth ostrich? 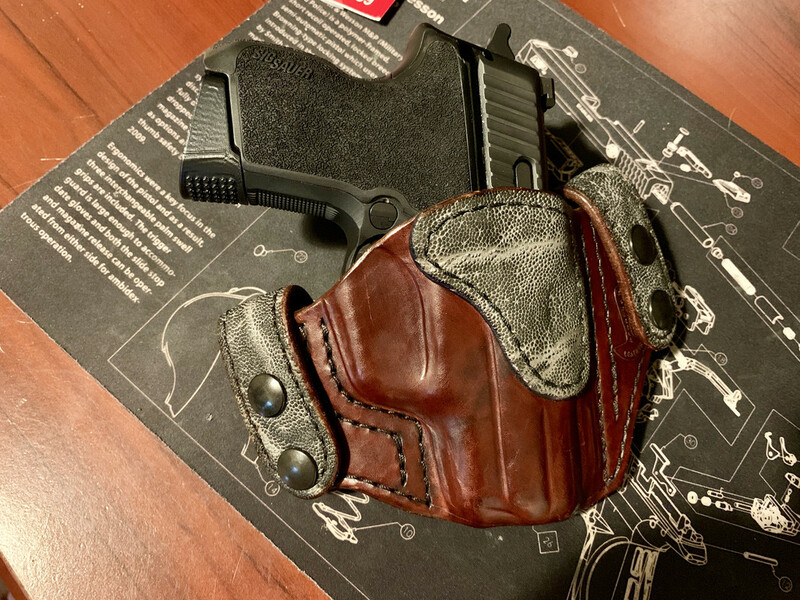 Ryan Grizzle did me the honor of making several sets of his GS2 holsters and magazine pouches using leather from a Cape Buffalo that I personally harvested in Tanzania a few years ago. He did that "Buff" right! Ryan has also done some great work with elephant hide for me, although I didn't collect that leather myself. 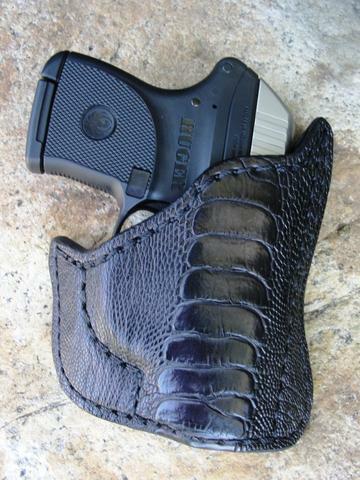 Ryan made this beautiful pocket holster for my Ruger LCP using Ostrich hide a few years ago. 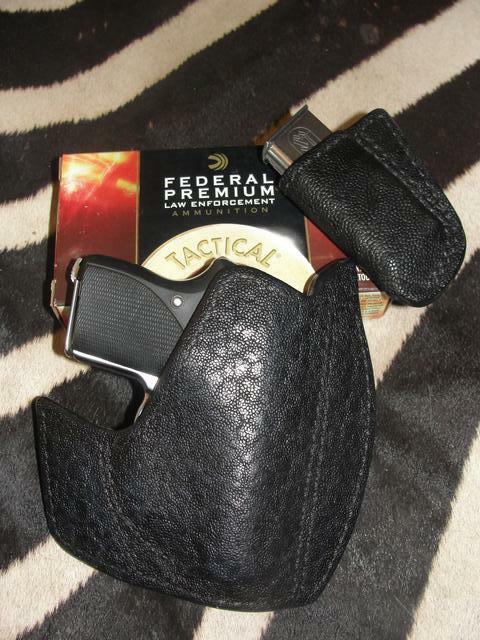 This pocket holster was made for my Seecamp LWS380 by Matt Del Fatti. I guess you could say I have a thing for elephant hide! I was hoping this would show up in the thread! I bought this off a member here. My first time with Exotic Leather. TT Gunleather MKS IWB with Black Shark for my Glock 19. I ordered another for the Glock 43x with Black Elephant. 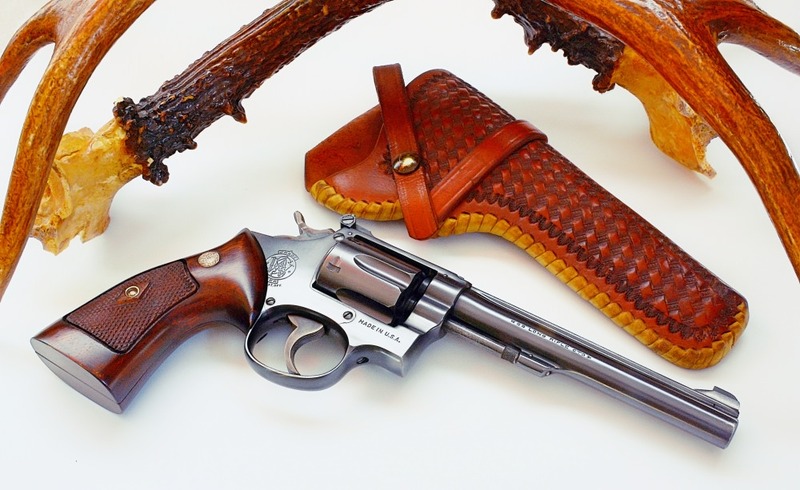 No mistaking the beautiful work done by Tim Thurner at TT Gunleather! Quick iPhone pic of my latest from TT. 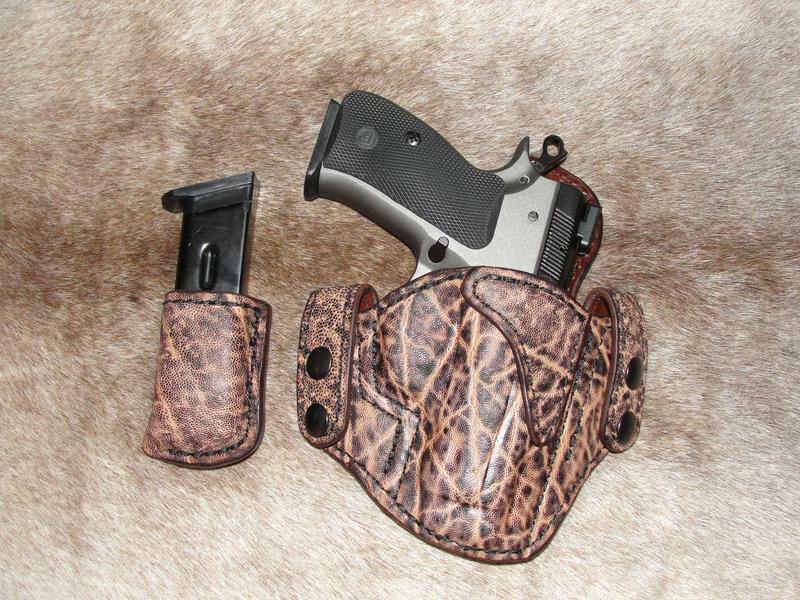 I really like this holster.